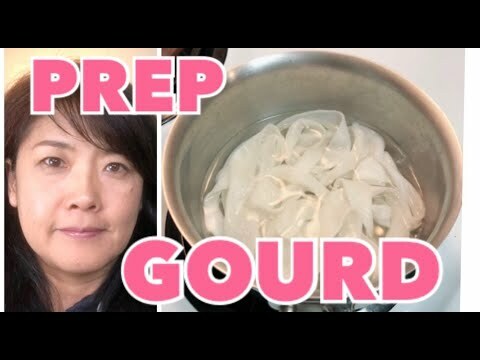 I show you how to prepare, and pre-cook dried gourd (Kanpyo). 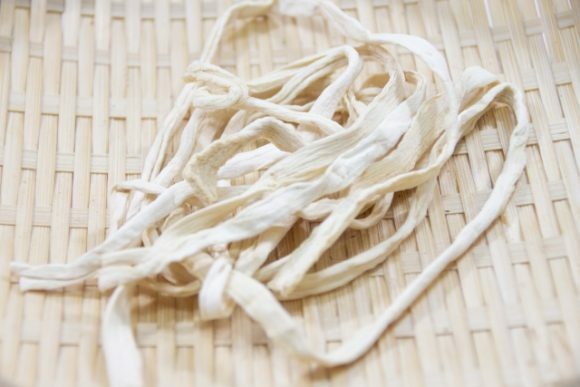 Probably many people do not know what Kanpyo is and how to cook it, Japanese people have been using this ingredient for a couple of hundred years. I like this ingredient because this does not have a strong taste, this makes a blend to any other food. After pre-cooked, Kanpyo becomes soft but durable enough to cook with other food. No color and no smell. It is like a ribbon, so when they use for a ribbon, it is cute by looking, yet you can eat! The most popular food for Kanpyo is probably sushi. Kanpyo maki, which is hosomaki (thin roll) and you can easily find any sushi restaurant in Japan. Other than that, Kanpyo is good for a boiled and seasoned dish. I am going to make more videos which I use Kanpyo and up on my youtube page for a short future.